Australian streetwear store Highs and Lows (HAL) have been dropping some fire collaborations for the past few years now, with the likes of Le Coq Sportif, adidas and ASICS all under their belts. Last year they collaborated with Reebok to release an ‘Autumn Leaves’ Classic and a LX8500 sneaker, they’ve teamed up again this year to release the HAL x Reebok NPC UK. Part of the 'Year of the Court' series—a celebration of Reebok's impressive tennis heritage—we have to admit these gems passed under our radar when they were released last Saturday, thankfully they're still in stock. The premium edition sneaker goes for a clean look, a signature trait in most Reebok classic kicks. The all-white upper is made of Gerecke European deer leather and a one-stitched Formstripe on the lateral side. Blue accents on the tongue, heel and insoles—inspired by the Hopman Cup, a tennis competition which is held in Perth—adds to the overall simplistic and exuberant look of the sneakers. 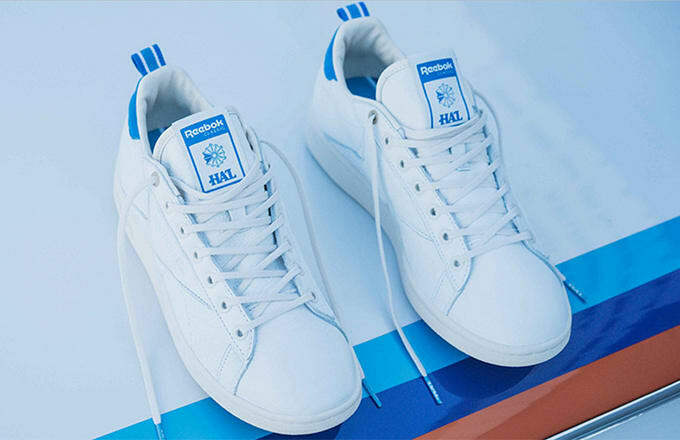 The HAL x Reebok NPC UK is in stock right now on the Highs and Lows webstore for $250 AUD (£130). For a closer look at the these premium edition sneakers check out the gallery below.